Choosing the right contractor for your project can be a real pain. It is not something that you want to leave up to fate or a casual recommendation from a website. 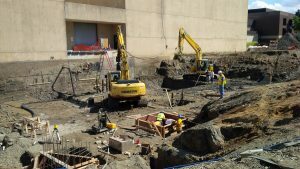 At CMI Structural Solutions we believe in providing New York with the finest geotechnical solutions for over 22 years and we are proud to be part of the engineering community. Our services include a wide variety of soil stabilization, load testing, and helical piles. We are a leader in sustainable construction solutions with our Geo-Joist system that provides an energy efficient, fast track and cost effective building system. The experience we bring to the table is the result of a passion for geotechnical engineering and a commitment to customer service. But what kind of a road does it take to get to be a trusted expert in the industry? We thought about what it takes to be a good contractor and it is much more than a strong technical background and successful projects, it is a happy client that truly matters. So here is a quick guide to choosing a contractor for your geotechnical project. At the base of any geotechnical project is an engineer. A geotechnical contractor without an engineer is only qualified to build a sandbox. The engineer’s job is to determine the viability of what needs to be done. Now, engineering is not necessarily a profession that is easy to get into. In order to be recognized as a professional engineer, the candidate must first have a successful four years of experience before being allowed to take the Principles and Practice of Engineering exam. The PE as it is known, is an exam that requires a massive amount of studying and has a success rate of right around 70 percent. Needless to say the exam is tough. Upon the successful completion of the exam, the engineer is recognized as a professionally licensed engineer. Any contractor that you are considering for your project should either have a PE on staff or a working relationship with a competent certified engineer. Much of the work that we do at CMI Structural has to do with helical piles, foundations, underpinnings and retention systems. This sort of work requires an exceptional staff of equipment operators and laborers. These are the individuals asked to perform the magic that the engineer has initiated. 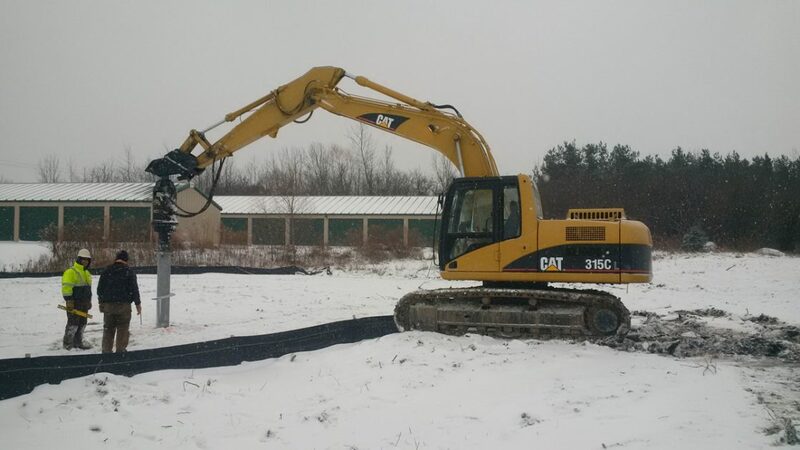 A good operator is invaluable to a contractor, as the best can perform miracles with a piece of equipment. The most important part about choosing a geotechnical construction contractor is to look for a proven track record. In the structural solutions industry there are any number of ways to pass for a legitimate contractor. Many construction contractors attempt to implement the same techniques as a professional engineering firm but without the technical knowledge. So look for a portfolio of successful projects that are the same structurally as you are building. At CMI we are proud to offer the most complete geotechnical construction and design in the region. Please contact us for more information about our extensive menu of services. We look forward to hearing from you and thank you for your business.